Lokrum is a small island and nature reserve, very close to the wonderful Dubrovnik – it’s easy to spot from many vantage points in the city, such as from the Old Town Walls or from Mount Srd. It’s a very pleasant way of spending a day or afternoon away from the hustle and bustle of Dubrovnik! The island is covered in lush vegetation with a number of interesting plant species located here, including those specially imported (e.g. tropical varieties). Lokrum is entirely uninhabited, although it was bought by Austrian archduke Maxilimilan I in 1858, and much of the botanical plant life is owed to his grand gardens created during his ownership. Lokrum is also famous as one of the filming locations of the epic Game of Thrones TV series, so many fans of the show head there for that reason too. There is a regular, timetabled boat service to the island that departs from Dubrovnik Old Town port. Boats run daily from April to November each year, with a higher frequency of service in the peak summer months. You can see the timetable on the Lokrum island website. Journey time is only 10 minutes. For the more energetic amongst you, you can also join a local kayaking tour group and kayak over to the island! 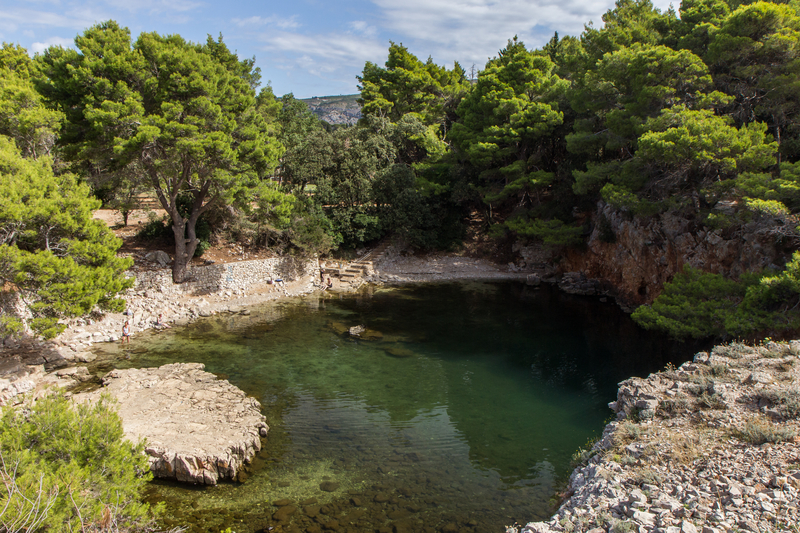 Most visitors to Lokrum check out a few of the points of interest on the island, and and then spend a lazy afternoon relaxing on the rocks by the sea and swimming in the waters. Do be mindful that as a nature reserve, there are certain rules for visiting Lokrum. Smoking is not allowed, and do collect and take away any rubbish that you may have created. 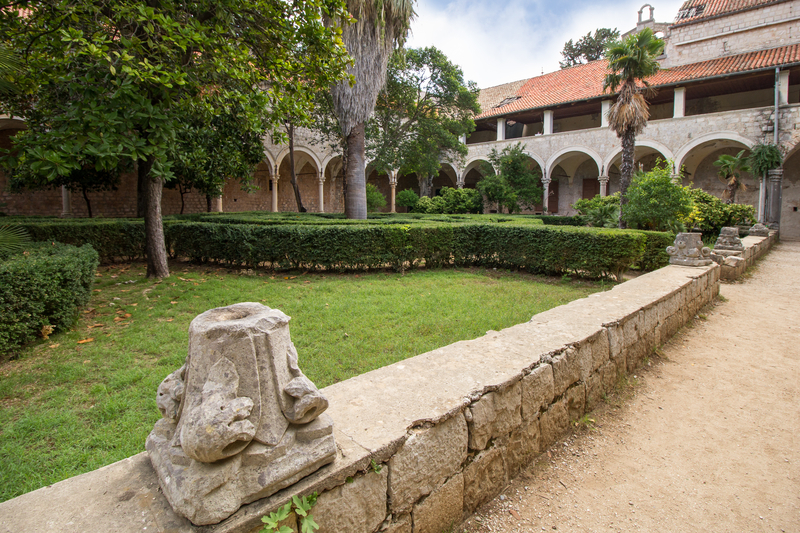 Although the garden itself was founded in 1959, many of the items seen today were planted during the 19th century when Maximilian I was owner of Lokrum. The Garden is home to a variety of plant life, including palm trees, cacti and eucalyptus trees. The Monastery on Lokrum was originally built during the 11th century, although the parts that can be seen today hail from the 15th/16th centuries. (The monastery was badly damaged during the 1667 Dubrovnik earthquake.) In the 19th century, Maximilian of Habsburg has his palace constructed next to the monastery. Not really like it’s far more famous namesake in the Middle East, this is still a salt lake. Located inland on the south of the island, this is a popular spot for visitors who enjoy bathing in the calm and peaceful waters. This stems from the time of Maximilian I and was likely used for bathing as well as to maintain the vegetation on the island. Built on the highest point of the island by the French (during a brief period of occupation in the early 19th century) and then the Austrians, there’s gorgeous views from the top. Just make sure you’ve got your proper walking shoes on for the uneven path on the way up! Can I stay overnight on Lokrum? 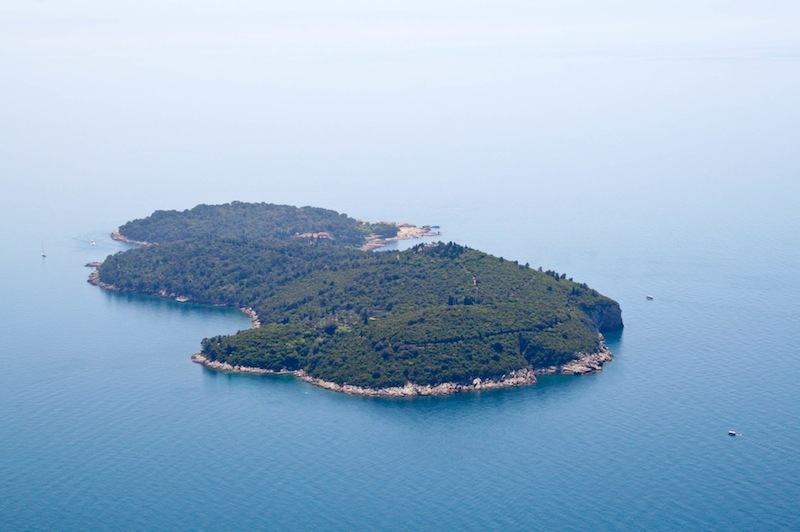 No, as a nature reserve there is no accommodation on Lokrum and it is forbidden to otherwise stay overnight on the island. But seeing as it’s so close to Dubrovnik, you can easily visit several days in a row if it has really taken your fancy!